One thing at a time, Bud, my father used to say. For centuries, Zen teachers have said the same. Whatever you are doing, give that one thing your full attention. When you walk, just walk. That is sound advice, but in our present culture it stands little chance of being heeded. A recent New Yorker cartoon depicts an urban couple at an intersection of trails in a state park. While the man studies the printed guide, his companion turns to a passing hiker for help. “Which trail,” she asks, “has the best cell-phone reception?” When you walk, just walk, our culture seems to be saying, but keep your cell phone on. Within this prevailing social ethos, the admonition to do one thing at a time, and to give that one thing sustained attention, comes to look like a quaintly archaic notion. Zen meditation is sometimes viewed as a countervailing force—a potent corrective to so-called multi-tasking. That view is not without an empirical basis: by taking up Zen, people do become more “focused” and less prone to distraction. But in the broader context of the Buddhist tradition, of which Zen is a late flowering, concentrative meditation, or samatha, is but one of two general aspects of meditative practice, the other being vipassana, or the cultivation of insight into the nature of reality. Each aspect serves the other. And to emphasize one over the other is often to lose sight of the larger aims of Zen discipline. Paying respectful attention to the smallest thing, we avoid doing harm, while also strengthening our powers of concentration. Those are laudable objectives, but the practice of “taking care” must itself be handled with care, especially by beginners, lest it subvert the deeper purposes of Zen practice. As the Zen-trained teacher Toni Packer has pointed out, any new skill “can serve as a fresh opportunity to win approval and avoid blame,” and being respectfully attentive “can become a self-centered activity that is cultivated because we think it is meritorious in the eyes of others.”** Being gentle with doors and kind toward our cushions can become a form of conspicuous, self-conscious “mindfulness,” rather than selfless immersion in the task at hand. Beyond the inadvertent reinforcement of egoistic thinking, doing “one thing at a time” can also undermine our social awareness. Toni Packer tells the story of a man at a retreat who stood in a line, slowly and carefully buttoning his cardigan, while failing to notice that people were piling up behind him. During sessions of the Falling Leaf Sangha, our local practice group, I have witnessed similar behavior. In one instance, a young man new to Zen practiced walking meditation at a snail’s pace, not realizing that the line was stalled behind him. In another, a practitioner mindfully savored her tea, not noticing that everyone else had finished and was waiting for her to do the same. By their nature concentrative practices exclude other objects of attention, and what is excluded may be the presence of other people. Such exclusion is awkward for all concerned, and it is also at odds with a central purpose of Zen practice, namely to recognize our interdependence with other beings and to act in accordance with that recognition. In formal Japanese Zen, practitioners endeavor to act in concert, whether the activity be drinking tea or eating a formal (oryoki) meal. Although such practice is in part an expression of collective values, it serves primarily to support our awareness of interdependence. 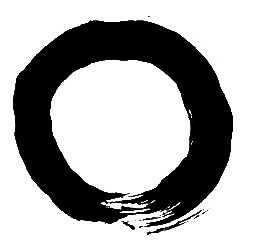 When we practice zazen, writes Shohaku Okumura, we “settle down peacefully within the network of interdependent origination and allow the universal life force to practice through us for all beings.”*** Paying due attention to others in our immediate environment, we continue to cultivate awareness of all sentient beings in their interdependent relationships. That may sound like the opposite of doing one thing. But paradoxically, by attending to the many we also attend to the One: the timeless, dynamic totality of the web of life. Sometimes called enlightenment, or more modestly, full awakening, that state of awareness cannot be willed into existence. But we can prepare for it, and create propitious conditions for its occurrence, by giving steady, uncompromised attention to one thing at a time. *Reb Anderson, Being Upright: Zen Meditation and the Bodhisattva Precepts (Rodmell Press, 2000), 70. **Toni Packer, “Consciousness, Attention, and Awareness,” in The Wonder of Presence (Shambhala, 2002), 136-7. ***Shohaku Okumura, Realizing Genjokoan (Wisdom, 2010), Kindle Edition, 1260. Doing one thing at a time is one thing. But doing it in correct response the the requirements of the moment might be another. Sometimes respectful action is just what is required. The quiet closing of the door, the gentle offering of an object. But other times require a jerk of the nose, a whack on the head, a rude shout or fart. Lots of old monks would never have awoken had not their teachers shown a willingness to do whatever it took. I’ve never understood Zen to prescribe styles of behavior, only correct behavior (“correct” in the sense of responding to the moment) . . . although my understanding doesn’t go very far.